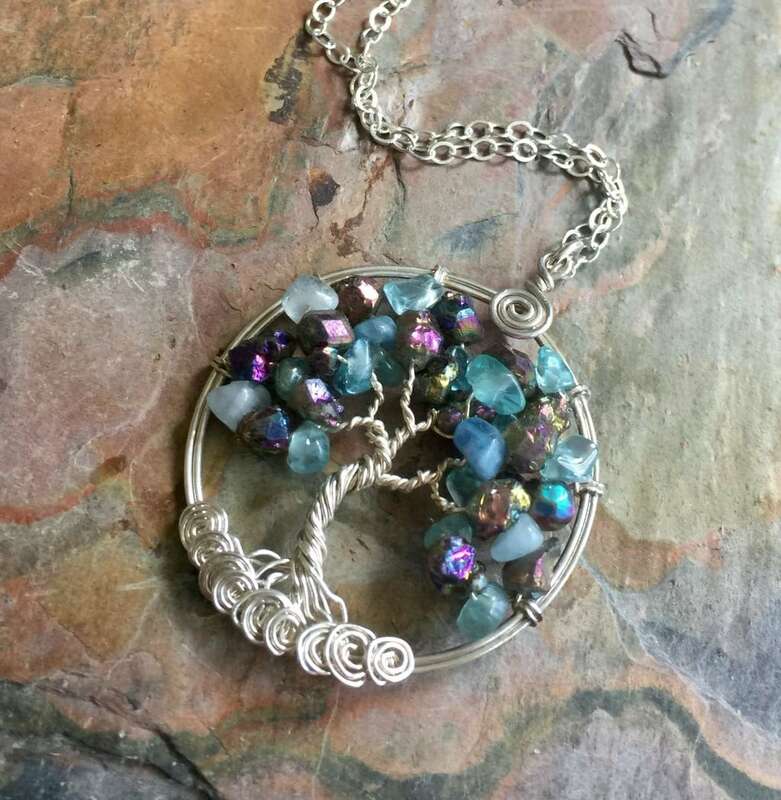 Beautiful Mystic Rainbow color & Aquamarine Tree of Life Pendant! The Titanium quartz displays beautiful rainbow color in person. The pendant measures between 1.60 to 1.70 inch in diameter. It comes with your .925 sterling silver cable chain. 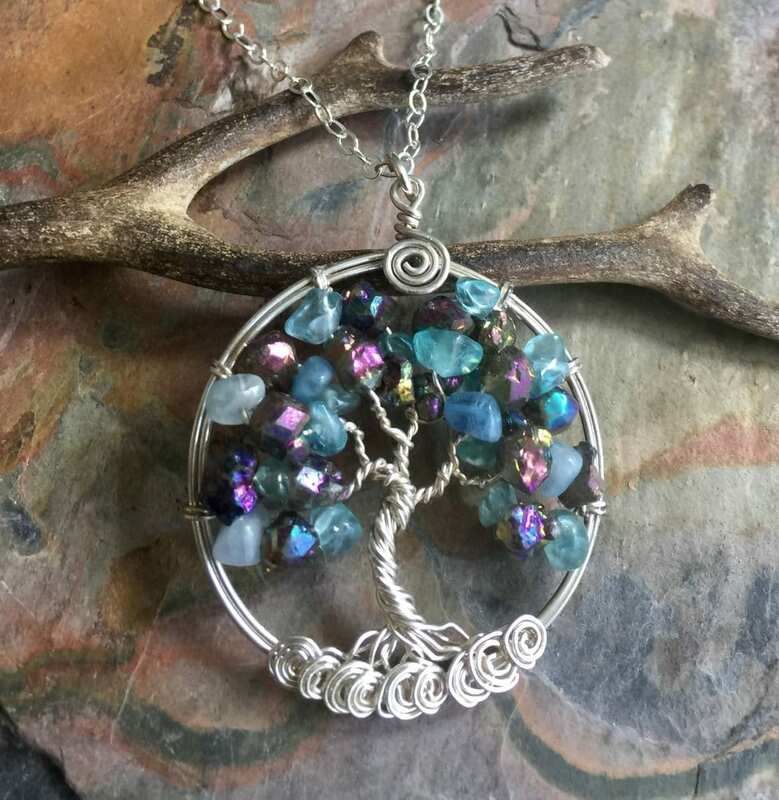 Each pendant is handmade, so please allow slight variations from the shape of the branches and placement of the stones as shown. This necklace was more gorgeous in person!!! So happy will purchase again!!!! 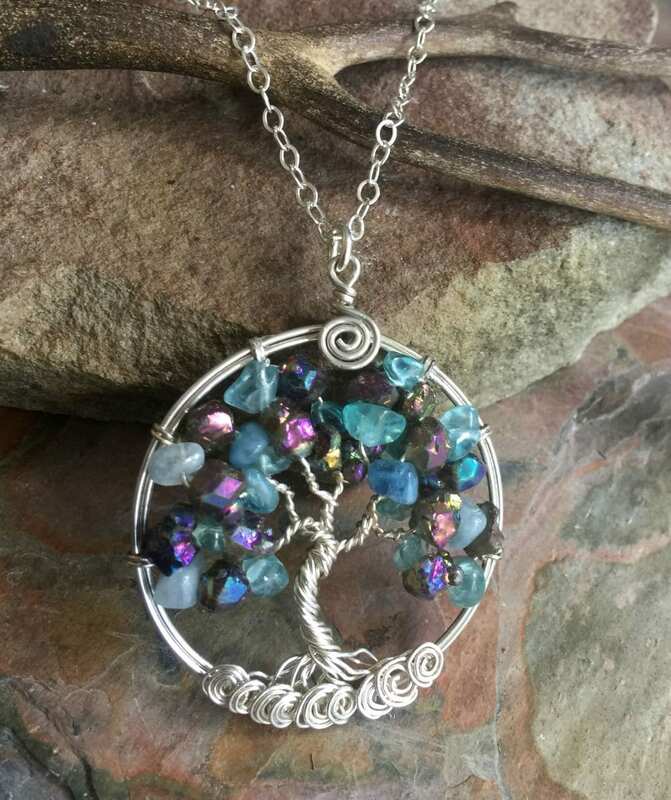 Gorgeous necklace, my mother loved it! Thank you! Very well made and fast delivery. Thank you so much. She loved it! Ok, WOW, how beautiful is this?!? 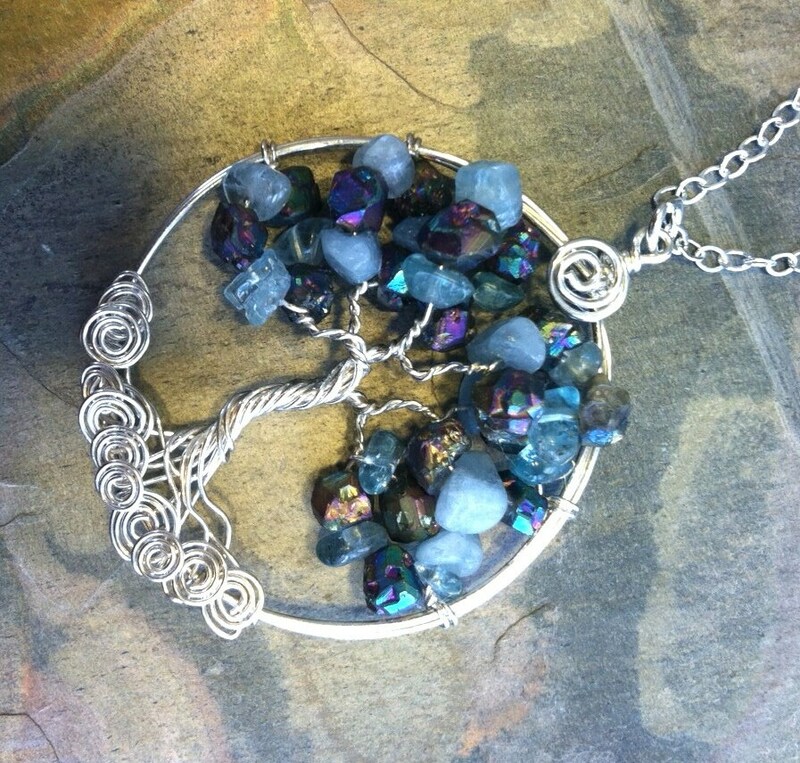 Not only is this necklace gorgeous, but the customer service was excellent and shipping was lightning quick too!!!!! I will definitely be coming back for more.